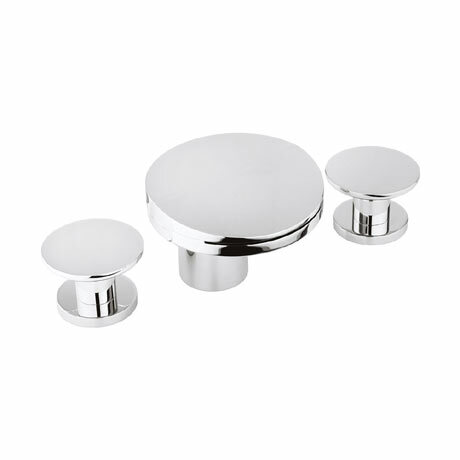 The Water Circle tap range from Crosswater will create a great focal point in the bathroom with it's eye catching design. This 3 tap hole basin mixer comes in a chrome plated finish and has a rounded body and a slotted spout that produces a stunning waterfall effect. The twin lever design allows for ease of operation and controls the flow of both hot and cold water.